Atmosphere's emission fingerprint affected by how clouds are stacked | Watts Up With That? Clouds, which can absorb or reflect incoming radiation and affect the amount of radiation escaping from Earth’s atmosphere, remain the greatest source of uncertainty in global climate modeling. 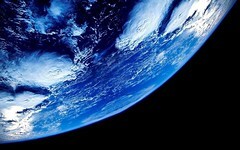 By combining space-based observations with climate models, researchers are able to derive baseline spectral signals, called spectral fingerprints, of how changes in the physical properties of the Earth’s atmosphere, such as the concentration of carbon dioxide or the relative humidity, affect the amount of radiation escaping from the top of the atmosphere. Researchers can then use these spectral fingerprints to attribute changes in the observed top-of-atmosphere radiation to changes in individual atmospheric properties. However, recent research has shown that the way global climate models represent the interactions between clouds and radiation can complicate the process of making these spectral fingerprints. Researchers are finding that what matters is not only the presence or absence of clouds at each location represented in the model but also how the clouds are stacked vertically within each model grid. In order to monitor and attribute secular changes from outgoing spectral radiances, spectral fingerprints need to be constructed first. Large-scale model outputs are usually used to derive such spectral fingerprints. Different models make different assumptions on vertical overlapping of subgrid clouds. We explore the extent to which the spectral fingerprints constructed under different cloud vertical overlapping assumptions can affect such spectral fingerprinting studies. Utilizing a principal component-based radiative transfer model with high computational efficiency, we build an OSSE (Observing System Simulation Experiment) with full treatment of subgrid cloud variability to study this issue. We first show that the OLR (outgoing longwave radiation) computed from this OSSE is consistent with the OLR directly output from the parent large-scale models. We then examine the differences in spectral fingerprints due to cloud overlapping assumptions alone. Different cloud overlapping assumptions have little effect on the spectral fingerprints of temperature and humidity. However, the amplitude of the spectral fingerprints due to the same amount of cloud fraction change can differ as much as a factor of two between maximum random versus random overlap assumptions, especially for middle and low clouds. We further examine the impact of cloud overlapping assumptions on the results of linear regression of spectral differences with respect to predefined spectral fingerprints. Cloud-relevant regression coefficients are affected more by different cloud overlapping assumptions than regression coefficients of other geophysical variables. These findings highlight the challenges in constructing realistic longwave spectral fingerprints and in detecting climate change using all-sky observations. Nice to see some illustrations to assist with this uninformative prose. I’m sure some commenters will soon appear to make sense of this. So many studies that missed the IPCC deadline. Is it toast? Clouds………….the fly in the ointment. Here is Hockeyschtick’s take on it. Once again, it’s a “computer simulation”. Unless such simulations (of all stripes) are verified by physical experimentation and measurement, they are little more than figments of the simulators’ imaginations. > We first show that the OLR (outgoing longwave radiation) computed from this OSSE is consistent with the OLR directly output from the parent large-scale models. I’d be more impressed with this attempt to better understand the effects of clouds if they included some actual observations, especially since the “parent large-scale models” aren’t doing so well. In other words, the models are complete junk. Yeah, we knew that. Maybe someday they will actually begin empirical studies and launch instruments that can give them accurate information about clouds. That might happen sometime before 2100. Until they do that, could they please stop pushing CAGW? At least a few are still trying to understand clouds. Of course with 97% agreeing the science is settled why bother. But, maybe, just for the heck of it, some lone GCM programmer, stuck on the Dog Watch with nothing better to do, might eventually try adding Willis’ ITCZ Cloud Governor to his model just to see the effect. Willis has published enough data on it to get a good start, and, they might even learn something. But, then again, with the science settled, why bother. Why are these people not able to speak in plain simple english. My keen interest in the weather has made me noticed that there has been a increase in both wind shear and capping over recent years in the sky’s above the UK. By looking at the satellite images this seems to be happening across the globe as well. To my own mind l think this is linked to the weaker jet and maybe a reason for the lack of warming and lower hurricane activity in recent years. Willis has stated a perfectly good hypothesis about cloud reaction to increasing temperatures. According to Willis, clouds start forming earlier in the tropics and increase albedo which decreases energy from the sun. Testing this hypothesis would be really easy. On the budget plan, station cameras on the Virgin Islands and see if the earlier cloud formation can be spotted. Come on, Climate science, do an experiment for the Gipper. I knew that. The climate system is chaotic, complicated, and even cloudier than we thought. And the authors are determined to obfuscate as eloquently as possible. Policy decision…news at 11. Honestly, this is, in a word, bullshytte. No wonder the AGU has a death-grip on AGW…it’s the last bastion of pseudo-scientific compli-speak. Without it, they are nothing. Space scientists looking for the spectral signature of distant planets asked what would be seen if the earth was observed from a distance. Using spectral data observed by Deep Impact fly by craft distant from Earth they then tried to work out what controlled the observed spectra. Yes it is a model. N.B. They needed 4 categories of clouds! The errors on the actual spectra measured were significant, but the 4 cloud model got within 3% of measured (circa 10 watts/sq metre?). Within the text they examined how good their fit to the visible and NIR observations was. Untill they can get these cloud effects tied down and verified against real and accurate measurements, then no GCM can have real predictive value. ONLY? Isn’t the whole shouting match about a how only a few watts per square meter of AGW are about to destroy the planet? The catastrophic warming produced by models is _entirely_ due to “parametrizations”, not observation. Illustrating once again that the planetary climate system has degrees of freedom in maintaining equilibria that Climate Science knows naught of. The ways in which cloudiness can vary and respond make a mockery of the toy models’ assumptions. So after looking at them from both sides, we really don’t know clouds at all? Got it in one sentence. The amount of mney being wasted on this unadulterated rubbish must be horendous. Convective clouds form the cloud droplets from vapour at the tops, where they build, releasing heat in doing so. This heat is surface derived from water evapouration latent heat. This heat is that released at the tops then radiated to space. This process cools the surface. Consequently, clouds are a three dimensional consequence of the state of the global air circulation pattern at any given moment. Recognising the infinite variability of cloud types and quantities in three dimensions is a step towards understanding how effectively cloudiness changes can regulate the amount of energy getting to the surface from ToA and thereby exert a precise and rapid negative feedback to stabilise system energy content in the face of any attempt at thermal forcing other than from more mass, more gravity or more ToA insolation. The fact is that any other forcing element is quickly negated by a reconfiguration of the global air circulation and the infinite variability of clouds makes the process possible for a minimal effect on the vigour of the circulation. If there were no clouds then the air circulation reconfigurations needed to negate forcing elements other than mass, gravity or insolation would be much more violent. The thermal efficiency of the phase changes of water helps a great deal too. Somewhat off topic: I just watched “The Day After Tomorrow” for the first time sitting in my hotel room here in SC while serving a nuclear plant for my 3rd week. With movies like this, it’s no wonder people are confused. The entire premise of the movie is that global warming causes global cooling and the new Ice Age will be caused by CO2 melting the ice. This will lead to bad weather which will trigger us directly into an ice age within 7 days of some catastrophic extreme weather event. The US will need Mexico and the 3rd world countries will save the world. Bunk science fiction that certainly will put wrong headed thoughts into people’s heads. A few watts, seems i remember 1.5 watts being the whole thing for AGW! 2) the world didn’t end in 2012; every time their predictions don’t come true, they have a harder time fooling the people the next time. Take care, back there. Don’t watch any romantic comedies — it will only make you miss your wife even more than you already do. Hope all goes well and is soon D.O.N.E..
You so eloquently smith words. So even when you give me pause, it’s enjoyable. I don’t think the movie ended happily. Millions of people just died and the USA ended as we know it. It was 911 time 100,000. The president (who did not save us from evil CO2) died as a result of his wrong understanding of CO2 and the VP made a speech at the end that we need to find alternatives to fossil fuels. The movie sent a clear message which is feeds the CAGW meme. I forced myself to enjoy the movie without judging… and got by the end gain the same feeling as while watching Inconvenient Truth. That feeling was that I was on the wrong side, and because of people who think like me, many millions of people would suffer greatly. So, while entertaining, many people will have had seeds planted in their minds of untruth. Try The Big Chill. Good exposition of how the world coped with the ending of the Medieval Warm Period, showing the costliness of cold, but the in a kind of patched-on PC addendum tries to generate fear of CO2 Warming. Thoroughly irrational. typo: but then in ….